From Goodbye Pork Pie to The Lord Of The Rings – here, for the first time, is the fascinating inside story of the deal-making, shrewd moves and sheer luck that, in just a few years, took New Zealand films from obscurity to the top of the world. In 2016 this title was updated and released as an ebook under the new title Dancing with Hollywood. 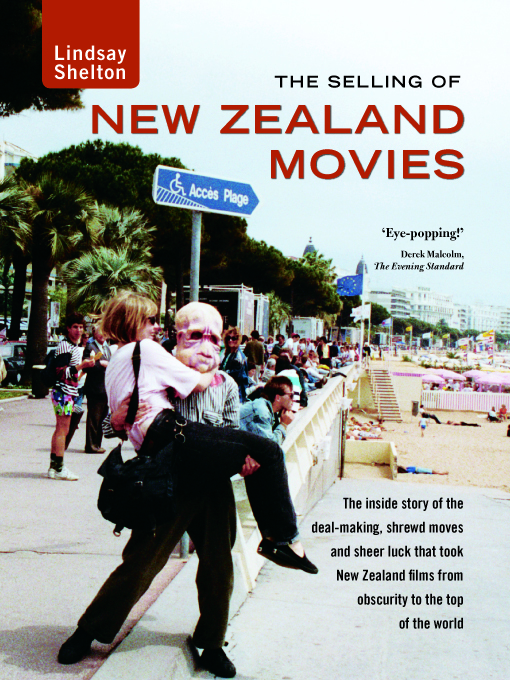 Launching New Zealand movies at the Cannes Film Festival for the first time in 1980, Lindsay Shelton discovered the world had never heard of New Zealand, let alone its film industry. In his book he tells how the country’s talented film-makers changed this forever. Strong personalities and even stronger ambitions are intimately detailed in this personal story of key New Zealand films and their directors – including Peter Jackson (Bad Taste, Heavenly Creatures), Geoff Murphy (Goodbye Pork Pie), Roger Donaldson (Smash Palace), Vincent Ward (Vigil, The Navigator), Jane Campion (An Angel At My Table, The Piano) and Lee Tamahori (Once Were Warriors) – and how they won international acclaim. Breaking into the international marketplace didn’t always go smoothly. One leading director didn’t want her film shown in cinemas. Two producers stopped their films being pre-sold when buyers were queuing up for them. There were the inevitable problems with agents and distributors, including failed negotiations and company collapses. This is a rare and absorbing look behind the glamour, to the real business of how movies are made and sold. Lindsay Shelton, a former journalist, critic and broadcaster, sold films to more than 60 countries during 22 years as the New Zealand Film Commission’s first marketing director. He was made a Member of the Order of Merit for services to New Zealand film, and film-makers presented him with their industry champion award. Details on each book's purchase page.